While surfing the net, you forgot about spaghetti on the stove... You need EggTimer. 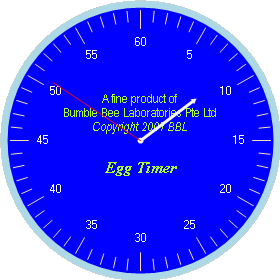 EggTimer, which you set by dragging its second and minute hands, is good up to 59 minutes 59 seconds. This file has been downloaded 193 times. Download now!